The Difficult Airway Course: Emergency is organized by The Difficult Airway Course and will be held from Apr 26 ‐ 28, 2019 at Boston, Massachusetts, United States of America. Additional details will be posted as soon as they are available. The Difficult Airway Course: Anesthesia is organized by The Difficult Airway Course and will be held from Apr 26 ‐ 28, 2019 at Boston, Massachusetts, United States of America. The Difficult Airway Course: Anesthesia was created by practicing international experts in Anesthesiology, Critical Care and Human Factors and based upon landmark publications that have materially advanced our understanding of difficult and failed airway management. This advanced program is designed to enhance existing skills in four crucial areas: difficult airway & awake intubation, failed airway & open cricothyrotomy, safe extubation & airway exchange catheters, and crisis team leadership & communication. Our hands-on, intensely interactive approach to learning emphasizes the evidence, reinforces skills and provides the assurance of being at the leading edge of airway management. Additional details will be posted as soon as they are available. Cardiovascular Medicine: Updates for the Practitioner is organized by Harvard Medical School (HMS), Penzias Group and will be held from Apr 28 - May 02, 2019 at Fairmont Copley Plaza, Boston, Massachusetts, United States of America. The target audience for this medical event is Physicians, Nurse Practitioners, Physician Assistants and Pharmacists in the following fields: Cardiology, Internal Medicine, Family Medicine, Geriatrics, Interventional Cardiology, Vascular Medicine, Hospital Medicine, Emergency Medicine, Critical Care Medicine. Earn up to • 42.00 AMA PRA Category 1 Credits™ • 42.00 MOC points • 42.00 AAFP Prescribed credits Course Description: This course is an intensive and comprehensive review of contemporary cardiovascular medicine. The objective of this five-day course is to provide a concise, state-of-the-art overview of the epidemiology, diagnosis, treatment, and prevention of cardiovascular disease, with focused sessions on atherosclerosis, acute coronary syndromes, congestive heart failure, cardiomyopathy, electrophysiology, vascular medicine, venous thromboembolism, cardiovascular imaging, and valvular heart disease. The Comprehensive Update for Cardiovascular Medicine: Hosted only once every two years, this special Harvard Medical School CME program delivers an intensive, comprehensive review of the most important changes in cardiovascular medicine. Cardiologists, internists, vascular specialists, family practitioners, pharmacists, PAs, NPs and other healthcare providers can rely on this program for critical updates and recommendations for incorporating them into your practice. This program is among the highest rated of Harvard Medical School's CME courses. 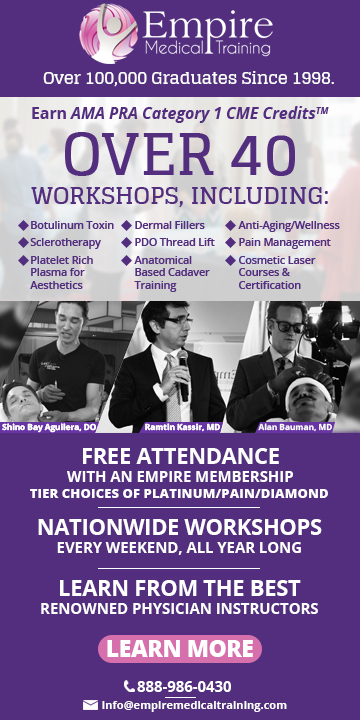 The education is relevant, practical and can be put to immediate use to ensure your patients receive the highest, most up-to-date quality of care, and achieve the best possible outcomes. Taught by Harvard Medical School faculty who are distinguished for clinical and teaching excellence, this program is well-suited for cardiovascular medicine specialists as well as generalists and specialists in other fields who care for patients with cardiovascular conditions, including: • Atherosclerosis: inflammation and novel risk factors • Advanced heart failure • Diabetes and its increasing overlap with cardiovascular disease • Coronary artery disease • Pulmonary embolism and DVT • Cardiovascular imaging and stress testing • Genetics and its relevance to daily clinical practice • Valvular heart disease The curriculum also focuses on new findings and advances in areas such as: • Taming immune and inflammatory responses to treat atherosclerosis • Treating and managing advanced heart failure • Atrial fibrillation as a systemic cardiovascular illness • Integrated multimodality cardiovascular imaging • Pulmonary hypertension • Late-breaking information regarding cardiovascular benefits and risks of antidiabetic drugs 2019 updates for diagnoses, treatment, and patient care include: • State-of-the-art treatments and clinical practices for reducing stroke, heart attack, and cardiovascular death in patients with diabetes • A comprehensive approach to managing atrial fibrillation, beyond rate and rhythm control Cardiovascular imaging tests: updates to select, use and act upon the results of CT, magnetic resonance, and nuclear imaging • Combination anticoagulation and antiplatelet therapy: new findings that impact the treatment of peripheral arterial disease • Guidance to determine whether to use single, dual, or even triple therapy for treatment of coronary artery disease • Best practices for the treatment of pulmonary hypertension with combination pharmacological therapy • Education to navigate the differing nuances among the five FDA-approved direct oral anticoagulants • New strategies to incorporate cardiovascular genetics into daily practice. Simulation-Based Anesthesia Training MOCA and Crisis Resource Management for Practicing Anesthesiologists is organized by Center for Medical Simulation (CMS) and will be held on Apr 29, 2019 at Center For Medical Simulation, Boston, Massachusetts, United States of America. The target audience for this medical event is Anesthesiologists. This CME Conference has been approved for a maximum of 7.50 AMA PRA Category 1 Credits. Course Description : The Center for Medical Simulation (CMS) offers intensive one day workshops in Anesthesia Crisis Resource Management (ACRM) for all anesthesiologists that will meet the MOCA Part IV simulation requirement. CMS Anesthesia Crisis Resource Management workshops are designed for those anesthesiologists seeking to practice their skills in managing critical events. The overall focus of these workshops is on learning the type of teamwork and generic skills needed when managing any kind of infrequent but critical event in anesthesia, and opportunities will be made available to learn skills in managing certain specific events. During the workshops, participants requiring MOCA certification will each have a turn as the primary anesthesiologist caring for the patient. Additional details will be posted as soon as they are available. Ischemic and Hemorrhagic Update: Current Practices and Future Directions is organized by Harvard Medical School (HMS) and will be held on Apr 29, 2019 at Omni Parker House, Boston, Massachusetts, United States of America. This CME Conference has been approved for a maximum of 8.50 AMA PRA Category 1 Credits™. 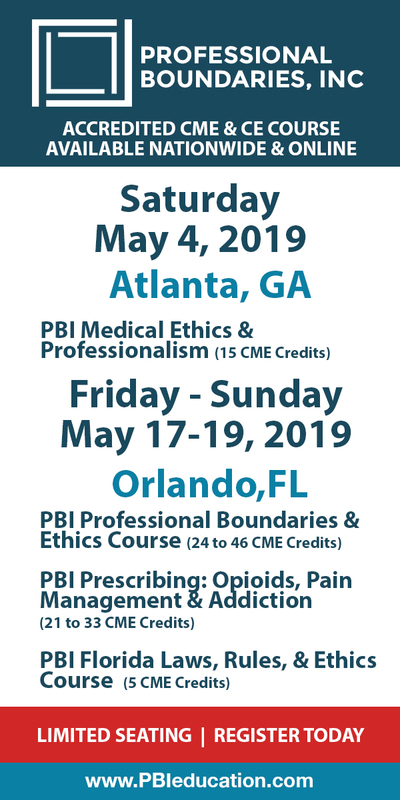 Target Audience: This course is targeted to primary care physicians, specialty physicians, nurses, nurse practitioners and physician assistants. This course may also be of interest to physicians who practice in emergency medicine, neurological surgery and neurology. Course Description: The symposium will focus on recent advances in the field of neurovascular disease including current theories on carotid disease, stroke, cerebral hemorrhage, and brain aneurysms and AVMs. We will also cover stroke issues and an overview of hemorrhagic stroke and intraparenchymal hemorrhage. This course will provide a learning experience for neurovascular medical and surgical clinicians in innovative management of patients with complex cerebrovascular disease through interactive didactic lectures, panel presentations and Q&A sessions. Conference Objectives: Upon completion of this activity, participants will be able to: • Identify the imaging of a stroke patient • Evaluate a patient with acute stroke • Prescribe current medications and treatments for acute stroke, and advocate for proper treatment, whether it be surgical, endovascular or observation • Recognize carotid disease, including who to screen, proper screening tests, and treatment options, including medical, surgical and stent options • Properly manage unruptured aneurysms in the current technological era • Evaluate the methods and efficacy of current general management techniques and pathogenesis for patients with intraparenchymal subarachnoid and intracranial hemorrhage. Anesthesia Crisis Resource Management (ACRM-2) Course is organized by Center for Medical Simulation (CMS) and will be held on Apr 30, 2019 at Center For Medical Simulation, Boston, Massachusetts, United States of America. Please note that if you are from BWH, BIDMC, BCH, MGH, NWH, or MEEI you must register for the workshop through your scheduler. Additional details will be posted as soon as they are available.